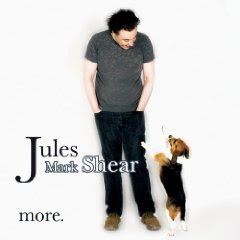 Did you notice that it's listed as Jules MARK Shear. Legal problems? Can't record under Jules Shear alone anymore? That's hysterical. Maybe Lars Ulrich told him he couldn't. He gets pissed off at everyone. My guess is that producer Sean Slade was a big Jules and The Polar Bears fan and tried to bring Jules back to that bygone era. "Tables and Chairs" sounds like it could've been a bonus track off the Wounded Bird "Fenetiks" reissue. Have you noticed in an iPod it reads "FAnetiks" because of the upside down e. I thought I was senile one day, searching for it to no avail. That slightly off key falsetto he used during the Polar Bears is used quite a bit on this record. His vocals sound a bit out of practice with the rockers, all that folkiness lately, I guess. And, he's a bit off at times, but in this day and age of autotune, I find it refreshing. John Hiatt does the same on his new record. Yeah, I love this record. I followed along with the lyrics, like the old days. Jules always seems to move me. Lyrically, it tore me up. Is he still writing about Aimee Mann and Pal Shazar? What an amazingly sensitive soul! I dig it. The last track, "You Might Show Up" put me over the edge. Could be my fave track. I hear elements of everything I have ever loved about Jules, all over this record. It sounds like it was recorded very quickly, almost live. It takes a couple of listens, but what doesn't really. I have to say I really love it, too. 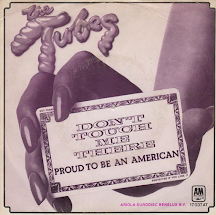 I've been listening to it everyday and "The Tide Has Turned" seems to be sticking in my head. YES!! "The Tide Has Turned" is a killer! His phrasing on the title alone is pure Jules genius. "Sea Shell" sounds a bit too much like "Jewel In A Cobweb." Yep. A few songs are reminiscent, in a good way, of older gems. "We Said Goodbye" = "Make Believe." "Tables & Chairs" = "Tried To Please Her." A couple almost sound like Reckless Sleepers. I'm just happy he's still making records, and this time he sounds very inspired. Maybe this Mark middle name is his rocking alter-ego. A far cry from "Dreams Don't Count." The opening track and "Sea Shell" are the two weakest tracks, but it hardly matters. As for the off key falsetto, the vocal straining, the awkward phrasing and lyrics, it's what made Jules so special in the first place. "MORE" is really outstanding. I can't see anyone who has ever loved Jules, not going berserk over this record. Far cry from Dreams Don't Count, for sure. I love the thought that "Mark" might be his rocking alter-ego too! This record was unexpected, and I too love that Jules is still recording....and I love being surprised by records like this, and going back a bit, Between Us.